Quick and Easy Entertaining | Pinch. Plate. Party. I recently celebrated my first birthday as a married woman. My husband and I had our families over for cake and ice cream in the middle of a long and busy weekend. We wanted to have heavy snacks that would keep our guests full, but wanted food that did not require a lot of prep. I went last-minute grocery shopping and filled my cart with easy to prepare items, dressings that I planned to doctor up, chips, salsa, cheeses, and meats. 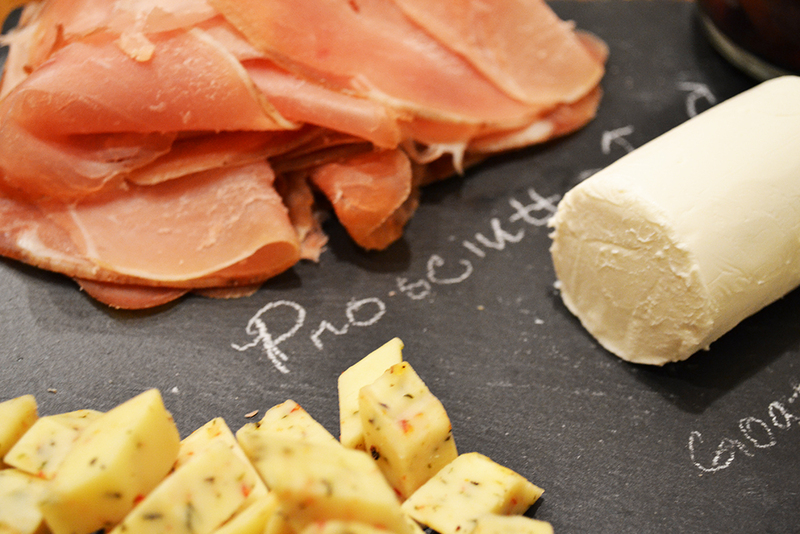 Purchasing foods that don’t require much preparation but look good on a spread is key for last-minute entertaining. Here are my 7 simple tips for creating a welcoming (and delicious) spread for a last-minute party. 1. Cook simple favorites that you’ve made hundreds of times: I love chicken nuggets. I’ve made them hundreds of time and chicken nuggets tossed in BBQ or Buffalo sauce are “Boneless Wings”. 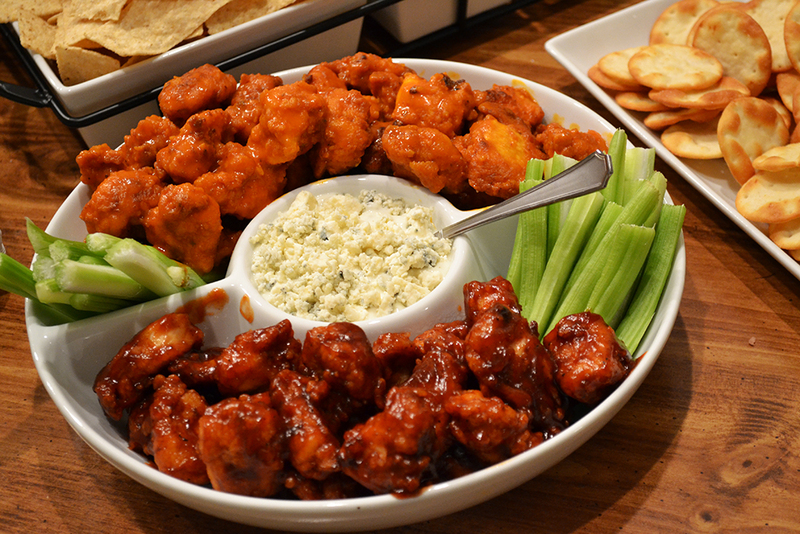 Boneless wings are easy, delicious, and most people love them. I served my boneless wings in a crudite server with a blue cheese dressing and fresh celery sticks. 2. Do as much as you can the day before: I cut all of my cheeses the day before and refrigerated them in ziplock bags. Cutting the cheese the day before was a simple step that saved me a lot of stress. I also “set” my table the day before. Knowing where my dishes, cutlery, and plates were going to go ahead of time allows for me to have a more inviting setup. 3. Create a menu with foods that can be eaten at room temperature: I am a fan of cheese platters and since the items tend to be eaten rather quickly they don’t need to be kept warm or cold. 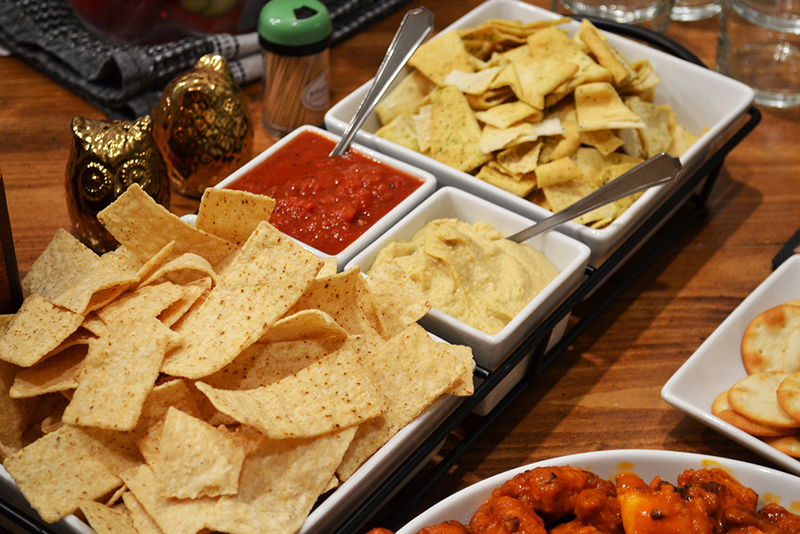 Chips and salsa are easy and lately my guests have loved pita chips with hummus. Having to keep foods cold or warm means more work for the host. 4. Be selective with processed and pre-prepared items: Avoid pre packaged or pre-prepared foods as much as possible. If you have to use pre-prepared items, doctor them up where you can. I used a pre-bottled blue cheese dressing but to give it a bolder taste I crumbled fresh blue cheese and added it on top. 5. Use disposable plates and cutlery (when appropriate): I love having clear glass plates available for my guests to eat off… but I opt for sturdy and simple disposable plates when I’m on a time crunch. Disposable plates are being produced at a higher quality and the best part is that you don’t have to stay up as late clearing and washing dishes. 6. Invest in quality serving trays and platters: One tip I came across when registering for wedding gifts was, “Invest in white”. Plain white dinnerware, platters, and serving trays are timeless. Foods look better on white and you don’t have to worry about the color of your food clashing with the color of your plate. Food also looks better in sturdy and quality dishes. Take the extra few minutes to place the chips in a bowl, the lemonade in a carafe, and the turkey on a platter. Macy’s The Cellar line has a variety of items available in all price points. Most of my serving dishes are from The Cellar line. 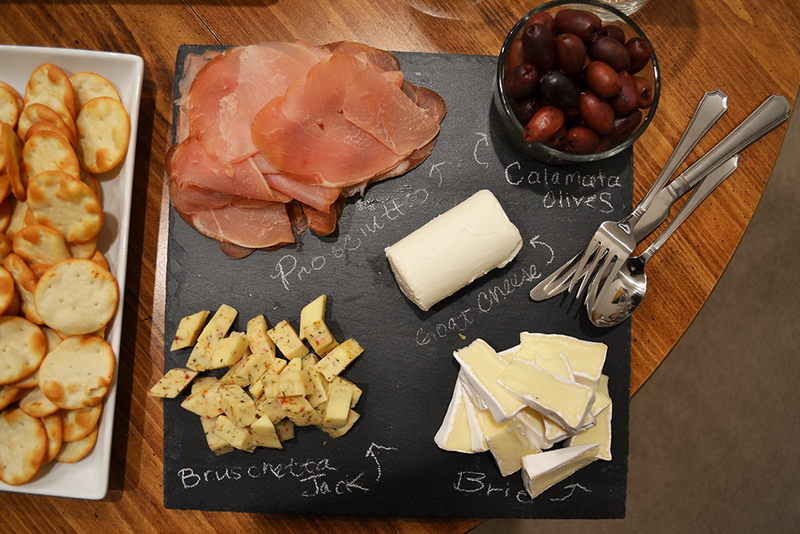 Crate and Barrel has slate boards which are pretty to use as a cheese trays. 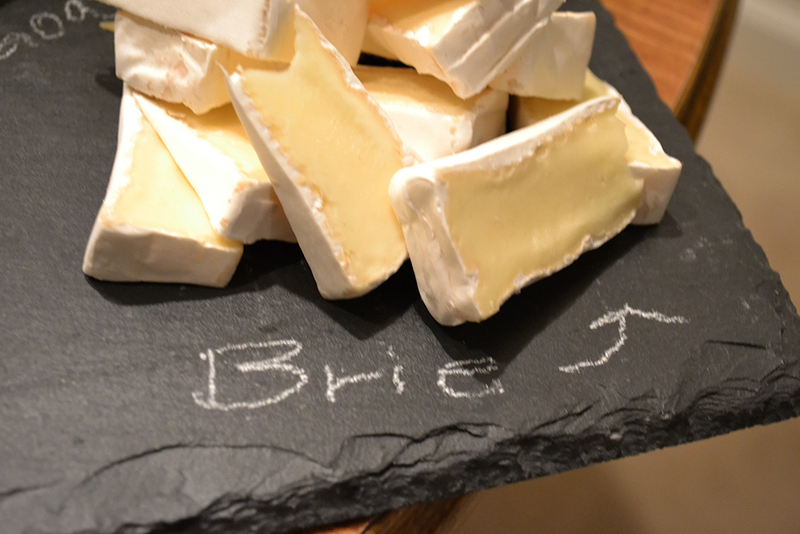 Use soapstone chalk to label your items. 7. Buy Ice: I believe the best way to keep canned beverages cool is by placing them in a beverage bucket filled with ice. If you forget to buy ice, you won’t have any ice available for your guests to use in their cups. Spend the extra $2.00 and buy a bag of ice.